Recently, I was fortunate enough to hear Molly Bloom speak in Denver. Already being familiar with her book and movie and some research done on my own, I learned some profound things that elevates leadership. While I won’t spoil the movie, know that the Molly Bloom I listened to had succeeded and then failed tremendously in the course of her journey and I learned a lot about leadership from her story. Enjoy and put these into practice to elevate your leadership impact. Subvert is defined as to overthrow, destroy or undermine. When we overthrow our own ego, we can effectively coach others to think better and bring out their best because we aren’t telling them what to do or providing the answers. The lesson? Sometimes you need to get out of your team’s way in order for great success. And, sometimes you need to get out of your own way too! Molly learned to notice the behavioral patterns that held her back as well as “to address the things that are coming up and continually getting in your way.” This allowed her to change them into a new pattern which supports what she wanted to achieve. We can do the same. Pay attention and learn how to recognize what behavior patterns are holding you back. Think about the chutzpah it took to not only dream up this idea, but to see it through. When I asked what led her to believe she could do it she said, “I had nothing to lose.” I think this perspective can serve all leaders well. We act differently when we have nothing to lose versus protecting what we’ve built or our name/reputation. Someone asked what her measurement of success is now, having made $4M per year and run the biggest poker game on the planet. She said she defined success as, “if my mom and dad are proud of me” and “if I bring others along in my pursuit of excellence.” These should be our goals as leaders; simple as that. Instead of taking on things you know you can succeed at, consider taking on things you know you will fail at. A client came to an epiphany about this recently when he had to work on something he really didn’t want to do, and said he wasn’t qualified to do it. He really just wanted to avoid it altogether. Through our session and work, he came to grips with the root cause of it which was he didn’t want to fail at it, or fail others in the process. What can you take on that you will fail at, and what can you help your leaders fail at? Think back to when you were first starting out, or when the last time was you were desperate. Remember how you would do anything to succeed, barring nothing? Think about something in your work you can be desperate about and then do something each and every day to bring it to success. Consider how powerful these concepts are and by adopting them, how far you can elevate your performance. Then carry that through to your leadership team; how can these concepts elevate their performance? And so on, into the entire organization. 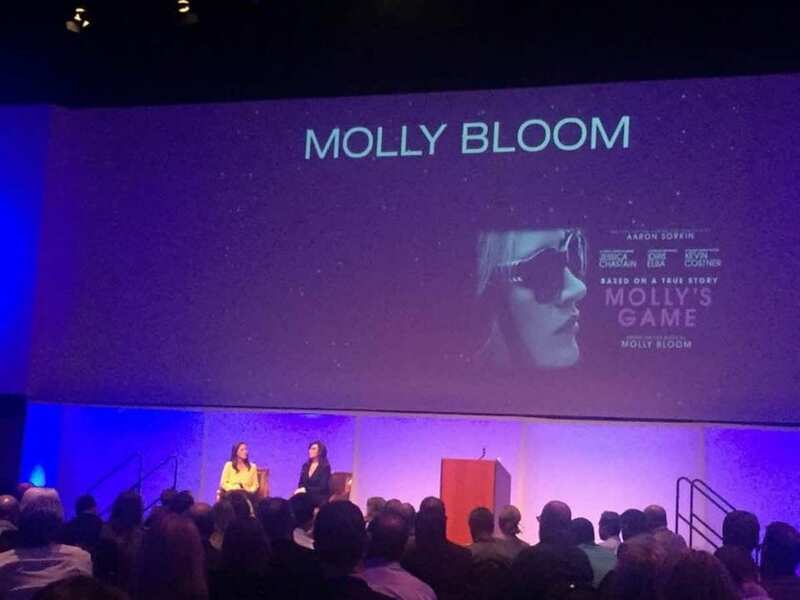 If you haven’t seen Molly’s Game or have read the story of Molly Bloom, I highly recommend digging in and learning about this story of extreme business success and failures. The story is real and the leadership lessons you can learn from it are even more real.